But finally, the main reason for this article is not to be negative to Pacioretty, it’s to be insanely positive towards Alex Tuch. He has been the driving force behind Pacioretty’s resurgence and he may deserve as much, if not more, credit for Pacioretty going from 2 goals in 16 games to 10 in 24. Since returning to the lineup the Golden Knights are 10-9-1, but they are 1-4-1 in games in which he does not have a point. Thus, 9-5-0 when he has at least one point and 6-1-0 when he gets multiple points, which he has done in three of the last four. 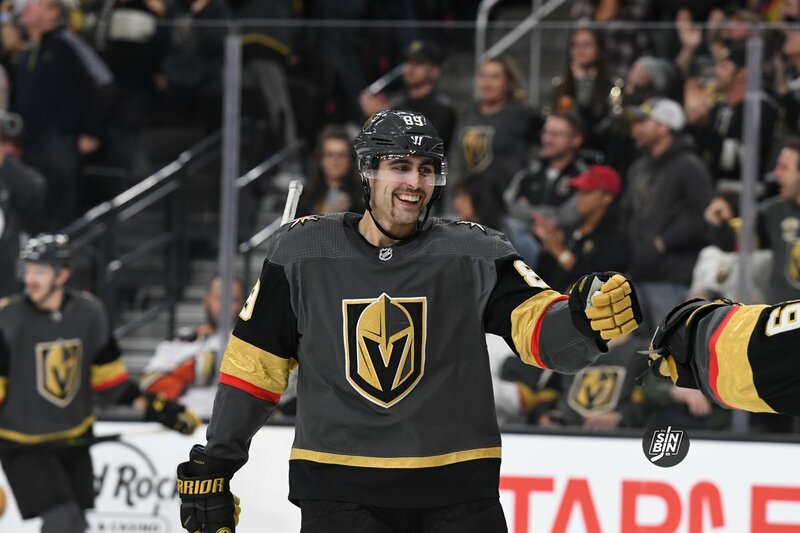 Tuch has been the most consistent skater on the Golden Knights and he has helped turn a line that was struggling into the one that’s helped lead Vegas right back into playoff contention. He has 20 points in 20 games and has yet to have his 23rd birthday. He may not be an All Star this year (even though he should be), but y0u can take it to the bank that he will be at some point in the future. This is the sort of analysis that sets Sin Bin apart. While a small sample size, we’re getting great insight on how the players are working together beyond statistical analysis. Look forward to more of it (All Star break time or during our bye week) as the season continues. His $4.75 already looking like a steal. nice article, good survey, keep up the good work.